The hysteria regarding marijuana laws and the heightened attention to border security have combined to reach a new fever pitch, with border patrol reportedly enforcing wildly audacious rules and ruining lives in the process. 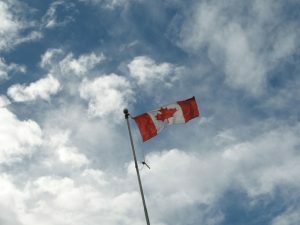 U.S. border guards have allegedly started turning away Canadian citizens entering the U.S. if it is revealed that they work in the cannabis industry, regardless of whether or not they are in compliance with Canada’s laws or even if their business deals directly with the drug or not, according to The Vancouver Star. Involvement in the cannabis industry means you are profiting from illicit drug trading, in the eyes of U.S. border patrol, an offense that can get you banned from entering the U.S. for life. Once you’re on the list, you never fall off, and admittance into the country would require the help of an immigration attorney and special temporary waivers. Even admitting to ever using cannabis has reportedly led to Canadians being turned away at the border. Americans, too, are facing problems at the border. Some are crossing into Canada to take advantage of their legalized medical marijuana and will soon be flocking there to experience federally legalized recreational marijuana, beginning Oct. 17. If they attempt to bring any marijuana with them back into the U.S., however, they could be facing charges for possession or drug smuggling along with fines and/or jail time. As our cannabis criminal defense attorneys in Los Angeles can explain, many are confused by the way the current marijuana laws work. If they legally purchased marijuana in Canada and they are crossing into a state, like Washington, where cannabis is legal for medical and recreational use, why then would they be in trouble at the border? Even more confounding, why would a Canadian who has never used marijuana a day in his or her life, but whose company creates products that are used by cannabis businesses, be banned from the U.S. for life? For the answer, one needs to look no further than Attorney General Jeff Sessions and his militant and radical stance on marijuana. He has made it no secret that he is a believer in anti-marijuana propaganda and will use the extent of his power in the Justice Department to enforce the federal ban under Controlled Substances Act, 21 U.S.C. Section 812. His plans have been thwarted in many ways, with more states legalizing cannabis for medical and recreational use. Congress, too, has passed measures to protect those states, including the Rohrabacher-Blumenauer Amendment, an add-on to the federal budget preventing DOJ from using funds to prosecute medical marijuana operations in states where it is legal. Instead of getting with the times, looking at the undeniable mountain of evidence in favor of marijuana legalization, and re-examining federal law, Sessions has chosen to double down on enforcement anywhere he still has power. This, unfortunately, has included border security, and many Canadians and Americans are paying the price. Our legal team stands by the millions of Americans who find the hostile anti-cannabis agenda of the Justice Department and border patrol to be out of line. The entire country is trending toward a better understanding of cannabis and its benefits. We know the War on Drugs and the aggressive targeting of marijuana users has done nothing but hurt our country. It’s time this administration catch up with the rest of us before any more lives are destroyed.